Posted on 01/23/2015 by Jeremy Bailey	in Around Town and tagged hockey, NHL, NHL All-Star Game, report card, Washington Capitals. The Washington Wizards are in the midst of a fine season, but I loathe the NBA, so you will find nothing more about them here. I do like the Washington Capitals. Consider them one of three DC sports teams I’ve adopted since moving here in 2004. The other two are the Nationals and DC United. I will attempt to give out a weekly report card on the Capitals progress for the rest of the season as they vie to get back into the playoffs after missing out last year for the first time in seven seasons. The Capitals have tantalized us with good teams in the regular season over the past few years, but can never put it all together when it matters. The NHL’s All-Star Game is Sunday, January 25 at 5pm. The league has five days off as they prepare for the All-Star festivities. 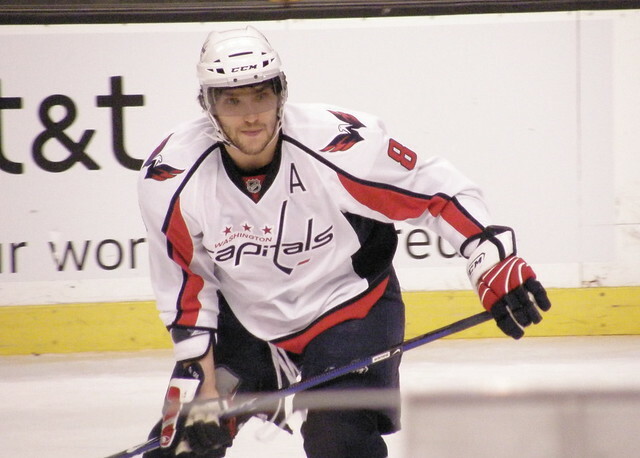 The Capitals only have one player in the All-Star Game this year, Alex Ovechkin (LW). They currently sit in 4th place (24-13-9, 57 pts) in the Metropolitan Division, and WOULD qualify for a playoff berth if the season ended today. It doesn’t. More work to do.